New York, Bro oklyn's Blackbells are celebrating the release of the new EP IxI which will be released on October 11 and is available for pre-order now. 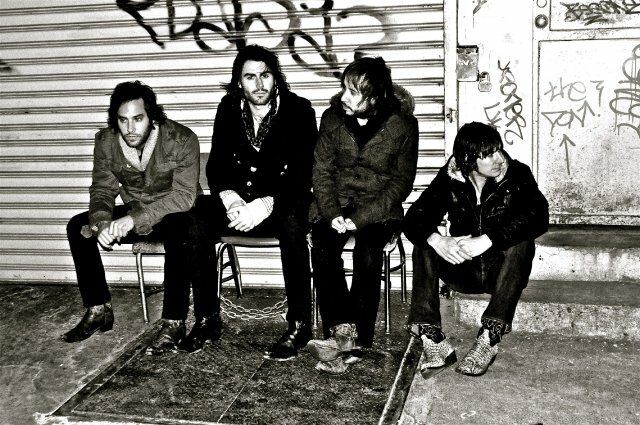 They'll be on the LES at Mercury Lounge on Wednesday, October 12. It's the early show, doors are at 6:45PM. This new collection of songs features a more mature, refined sound for Blackbells, and sees the band structuring dense, layered guitars awash with reverb against heavy driving rhythms and cavalier vocals. The musical progression and growth between Blackbells’ first eponymous EP and IxI is obvious— showcasing an open-mindedness that gives way to a supersonic powerhouse of a release.